Date: – Sat 11th May and Sun 12th May 2019. No PPT’s completely Hands-on training with MVC 5/MVC Core project. You have to just come with your laptop (VS 2017 Community Edition & SQL Server 2008/12/14 installed). A complete MVC hand ebook and 16 hours of recorded videos on MVC will be included for future revision. Tea/Coffee as refreshment will be provided. Learn MVC 5, Angular with Employee screen project. What’s the best way to learn any technology, create a project. That’s what we are exactly doing in this two days MVC course. This course is of 2 days where in we will be creating a simple Employee screen with authentication enabled on the project. To acheive this we will be using MVC 5, JSON, Angular, Web API and Dependency Injection. This project will follow the below architecture. UI will be created in HTML and served through MVC. Angular will act as a binder between server and HTML. Web API will provide JSON data using Entity framework code first approach. 9:30 AM to 10:00 AM Check installation, issues, faculty and students get connected. We would suggest people to come by 9:30 so that you can get fresh, start your systems and be ready for the marathon run of the day. The folder structure and importance of each folder. Understanding the view folder structure. Creating the project screen and Running the application. 11:00 AM to 11:15 AM Tea and Biscuit breaks. 4. Data annotations and validations. 6. Jquery with MVC (removing full post backs). 1:00 PM to 2:00 PM Lunch. Tip have less food as it can make you sleepy. After lunch any time you feel sleepy feel free to wash your face in between. Faculty understands how it feels after lunch. 2:00 PM to 4:00 PM 7. Upgrading from jQuery to Angular with MVC. 8. View data, temp data and Session. 3D4, 3rd Floor, D-Wing, Gundecha Onclave, Kherani Road, Next to Post Office, Sakinaka, Andheri (East), Mumbai – 400072. Hi, i have subscribed your package with dvd, i need the entity framework training videos with oracle and fluent api, is there any coaching available. Thanks for your query. Sorry currently we do not have entity framework training videos nor training with oracle and fluent api. I want to learn asp.net mvc completely. I have good experience in asp.net but do not have in MVC. Also i am from MP, please let me know if there is any batch for 1 or two week. Thanks for your inquiry. 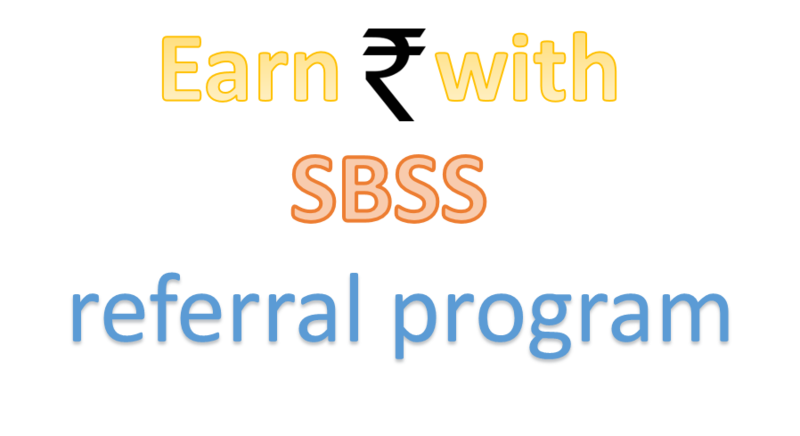 Refer to training time-table using this link http://stepbystepschools.net/. We do provide support to the attendee post-training for all your training related doubts. I am looking for Angular 2 training. is there any batch in bangalore? Sorry we do not have center at Bangalore location currently we are operational at Mumbai location only. For distance learners we have AngularJS videos materials details have been emailed to you. Do u have any batches for MVC in Thane? Sorry no currently we have center next to Sakinaka Metro @ Andheri location only. We have 2 days offline training going to be conducted on 14 and 15th Jan 2017. If we take up classroom training then do u provide videos and training material or notes? Yes reference materials are given in the form of hard copy notes and videos. It all depends on your learning and grasping capability. Self-study materials will help you learn technology and mock interview will help you evaluate your learning. More details we have sent to your mail ID. Sir i hv completed my c # and asp. Net at Hydrabad institute so now i want to learn mvc 5 so sir can i learn mvc on 16 hours of videos…. And MVC. NET Introduce entity framework so sir ado. Net is useful in future or won’t it be useful in future? We have MVC 5 videos which are with Entity Framework. Yes Entity Framework will be used more in coming time. Can I have your complete mvc vedio to learn so that I could work smoothly on mvc project . Please provide any url for reference. We have MVC 5 videos under the subscription program. More details we have sent on your mail ID. Hello Sir, Iam From Hyderabad. Iam fresher in .net , can you provide mvc, wcf, angular js videos to my mail id . We have video based materials to learn mvc, wcf, angular.js under the .NET subscription also sent you details related to subscription at your mail ID. Can I have your complete mvc vedio to learn so that I could work smoothly on mvc project . because i am not available in india. And in comming next month i will be assigned project on mvc. Thanks for inquiry. We have mailed you details of MVC self-study learning videos especially meant for distance learners. HI ,i want to join mvc with angular course starting on 6th and 7th August ,but i dont have laptop. do you provide laptop for training session. To avail laptop during the training you have to also book it with training fees. We have sent you an email with details to your mail ID. I’m a subscriber of questpond any special discount for questpond subscriber’s. We suggest do pre-booking of your training seat weeks prior then according to that you will get discounts. Apart from that there is no other discounts including subscribers. Can I get recorded video for the same training? Because I am not in India and I will not be able to attend it. Live offline is not recorded for distance learners we have step by step videos for more details mail us on trainer@stepbystepschools.net as we have tried to send you mail but unfortunately it got bounce. We are resending you complete MVC training details again. Can I have your complete mvc video to learn so that I could work smoothly on mvc project . because this month i will be assigned project on mvc. HI ,i waana join mvc with angular course starting on 16 th and 17 th july ,but i dont have laptop. do you provide mac for training session. Yes if laptop is needed then inform us prior, we will arrange it. Do we need to have knowledge and experience of previous versions of MVC in order to learn MVC 5/MVC 6 ? Knowledge of ASP.NET basics and 2.5 years of working experience on .NET. We are going to start MVC right from the basic and will progress it to advanced level practically lab wise. Request you to arrange the training sessions in Central Line (Ghatkopar/Vikroli/Mulund/Thane/Dombivli) too. For Central and Western learners we have center at Sakinaka. And for Thane and Dombivili we will start centre at Thane in coming time. What Is The Prerequisite For attending This Session..? ANY EXPERIENCE Is Needed ? To attend MVC 5 offline training you should know basics of ASP.NET and 2.5 years of C#.NET experience. Could you please email me on about the contents(TOC) of MVC 5 and how and where to get the rest of the videos. We have sent you an email with complete details for MVC 5 stuffs. For more doubts and queries feel free to contact us. I have knowledge in Dotnet nill knowledge in MVC … can I attend the above mentioned course? Yes sir, if you have basic knowledge on C# you can attend this training. MVC 6 is still running on beta version. Once it’s official version is released we will launch course for the same. We have self-study video series for MVC right from the basics to advanced level, more details we have mailed to your mail ID. I am a complete beginner in this field. i am form a non IT background. will this two day lectures be enough for me to learn complete MVC module. i just know the basics of C# and nothing else. For attending MVC offline training you should have minimum 2 years of programming experience. If you want to learn MVC from basics start with “Learn MVC 5 in 2 days” video series, more details we have sent you on your mail ID. Next batch would be on 6th & 7th Feb 2016 rest details we have sent on your email ID. Do you have any online class for node.js, ember? Sorry currently there are no online batches for node.js. I am a subscriber. When can we get the angular course into the subscription so i can learn it offline. I live in NJ USA. Any plans to start BIG DATA AND HADOOP batches? Sorry currently there are no plans to start BIG DATA AND HADOOP batches. Greeting from the states , I have been seeing your videos about MVC on you tube and they have helped me get a good start on the technology. Thank you once again . Is there a way I can Access the rest of the MVC videos offline , I really like them and will pay for a reasonable price . Thanks for showing interest. You can get all videos of MVC to view offline from http://www.questpond.com also we have mailed you complete details to your mail ID. Thanks for your query. Soon we will call and also reply you with details. Hi Sir, I want to attend your class for WCF as well as MVC. Plz give detail for upcoming batch and fee. This weekend 05th & 06th Dec 2015 we are going to have batch on MVC. Once dates are fixed then WCF training will be announced on site. I would like to learn SSIS and SSAS with real time. Is there any online training is possible? Sorry currently there are no online training batch for MSBI. Sorry currently all our online batches are full for MSBI training. We will inform you once new batch is formed. I have to attend mvc training. Can you tell me when you are going to arrange next session. Is this course offered in bangalore? Any plans to start sharepoint batches? Sir i Can’t attend this project course offline. Can u please, provide me this project Videos through dvd??? All 16 hours what you taught in training and a handbook for step-by-step project Creation/Exceution only. If you go only MVC 5 project videos then you will miss other necessary section which lab instructor has mentioned and are essential to understand the concept and fundamentals with MVC 5, so the whole package goes with learning. Rest other details of package has already been sent to you through mail. When will be next mvc and angular js batch gona start? I am planning to attend the course. I can’t attend this course personally .can u provide this course online or offline(CD)..if yes than what will be fees for this material. Do you people have same course in Delhi. I am a subscriber of questpond. Any discount ? Yes you will get discount. Is there any option to view this course Offline? 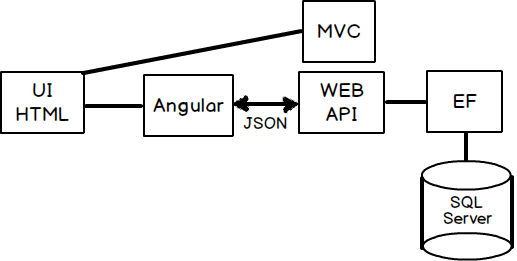 I want to learn MVC with Angular JS. Much help is appreciated if we can view this course offline. I want to learn from Mr.Shivprasad Koirala, I do not have much experience into MVC and Angular, could you please help me to get me expert into it. Enter your email address to subscribe to this blog and receive notifications of new trainings by email.